Gain a new level of access to the best talent in the market. And the best positions. "They provide the human touch to the process of finding the right employees or job." 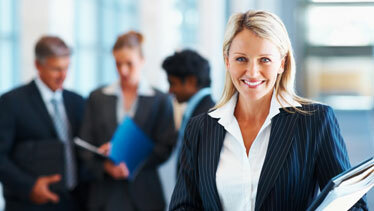 Welcome to CompliStaff, a certified woman-owned business dedicated to excellence in recruitment and staffing. Expect the best match and the best service. Pairing top talent with ideal positions requires superior contacts and diligent searching. CompliStaff utilizes a proprietary human resourcing methodology to ensure consistently good matches whether we are staffing your latest project or recruiting select talent for your direct hire staffing needs. CompliStaff is dedicated to finding the talent you seek, 24/7, 365 days a year. Our recruiters are experts in temporary and direct hire staffing in compliance, legal, risk management, internal audit and related skill areas. We work tirelessly to ensure that we present unique talent, suitable for the job. Ensuring you have the most productive staff matters to us. CompliStaff offers qualified talent, career opportunities and customer service that you won’t find anywhere else. CompliStaff is your one-stop resource for exceptional staffing solutions delivered in the most, timely way always with complete discretion.